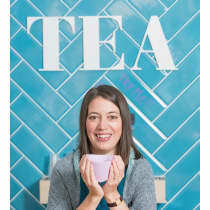 Eteaket is an innovative tea boutique, located in Edinburgh and founded by Erica Moore. The boutique offers a showcase of loose leaf tea and brewing equipment, allowing customers to gain more of an insight into the team’s processes and sample the various ranges. To further inspire customers, the boutique hosts various events including tea cocktail masterclasses, tea and chocolate tastings and launch nights for new ranges.